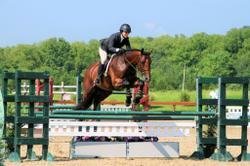 Chester is an accomplished hunter, jumper and equitation horse with an outstanding and loveable temperament. 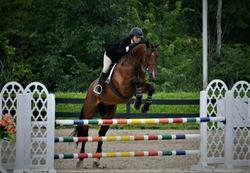 This year he qualified and successfully competed at USEF Medal Finals with a green rider. He is scopey, naturally quiet, good mover, with an automatic lead change. This horse is ready to take his next rider into any direction they choose with quality, confidence and ease. Prospect for 1.30m or 4'3"